We shouldn’t have to reinvent the wheel to employ Civil 3D point data successfully. After more than ten releases of Civil 3D that would be dumb. The Pareto Principal, that famous 80 20 Rule, applies to our civil engineering and survey data. I argue, and most civil and survey folk would agree, that 20% of what we gather and create drives a large part of our project work. As data-aware users of the Civil 3D data behind, we need to optimize our point work and workflows around that famous principal of Utility of Preference. Better code identification principals are mission critical Keys to more productive workflows and tools in civil engineering and survey work. The points of the puns here are all intended. Dealing with the differences and exceptions requires we spend time checking that the integrations between the varieties of moving parts: Description Key Sets, Figure Prefix Db, Point Groups, Survey Queries, our Style collections, etc. all work in multiple scenarios. We have a lot of EXACT NAMES to keep track of and then MATCH appropriately. Sorry folks. That’s the way it is. Both Civil 3D Style and the Civil 3D data need to be managed. The essential data management problem does require attention to detail, a plan, and systematic execution. Most Civil 3D users want to blame the Civil 3D detail when the lack of a real plan and haphazard execution are often the more applicable issues. 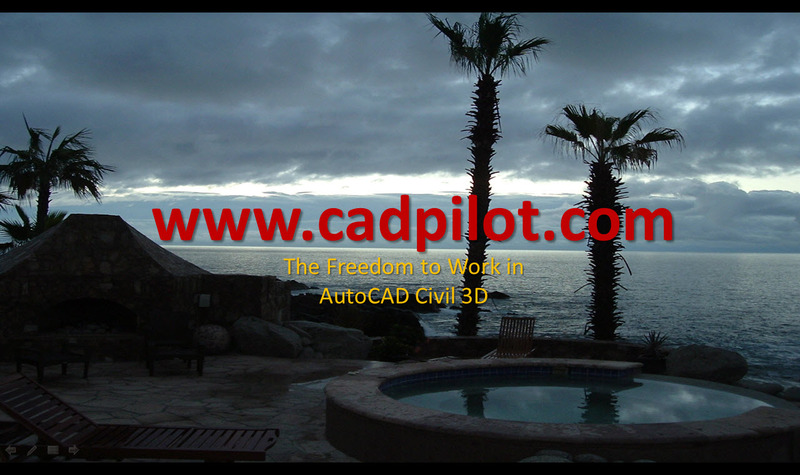 AutoCAD Civil 3D is decent about moving around and updating the Style tools and resources you’ve got. Civil 3D is not very good at helping us create and manage itself and/or the development at the fundamental levels. That’s why all Framework for Civil 3D products employ and include a development project with data. Inside Civil 3D without the specific data behind - specific Style is meaningless. We will have to employ external resources like Excel files (or databases) to help you Plan, Do or execute, Check, and then Act (PDCA) to maintain all that point mechanics. Excel works fine. You’ll have to keep doing a consistent continuous development process loop as things change. Why we supply and employ the Framework Spreadsheet Tools to do this. That sounds a bit intimidating. Remember – it is data. 80 to 95% of the stuff and specifics for all the varieties of integrations never change. We help with all of that. We do all of that with a level of detail and real world execution that is far from obvious.